Are you looking for easy ways to make bananas last longer? If you’re like me, you buy bananas every week at the grocery store. You have great intentions. After all, bananas are high in potassium and they’re good for you. You and the kids should be eating them regularly. But, by the middle of the week, you start to notice that you’re not using the up as quickly as you should be. And, they’re starting to get brown. So, how can you make bananas last longer? I don’t want to buy them when they’re green at the grocery store because then we cannot eat them. But, I don’t want them to go brown before can eat them all. Just why do bananas turn brown, to begin with? High amounts of ethylene turn the yellow skins brown. That’s because bananas have an enzyme called polyphenol oxidase that reacts with oxygen. Bananas release ethylene from the stems. This ethylene causes the yellow skin to get brown spots. If you wrap the stems individually in plastic wrap, you can slow down the release of ethylene which will make them last longer. Does putting bananas in the fridge make them last longer? This causes the peels to turn black. Instead, store them on the counter in the kitchen or in the pantry to keep the yellow color. If you don’t mind the black skin, you can store them in the refrigerator to slow down the ripening process. 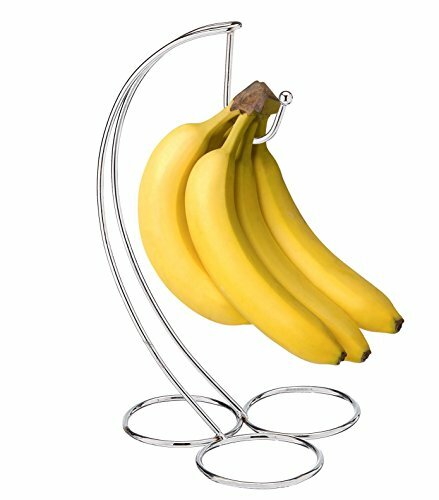 Hang your bananas on a banana hanger to keep them off the counter and avoid bruising. Bananas that get bruised are more likely to turn brown than bananas that are not. Just place the banana hanger in an out of the way spot on the counter. As vegetables and fruits ripen, they release gas. 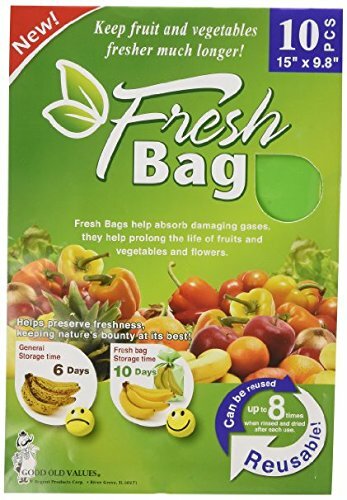 This gas can cause other vegetables and fruits, including bananas, to ripen more quickly as well. 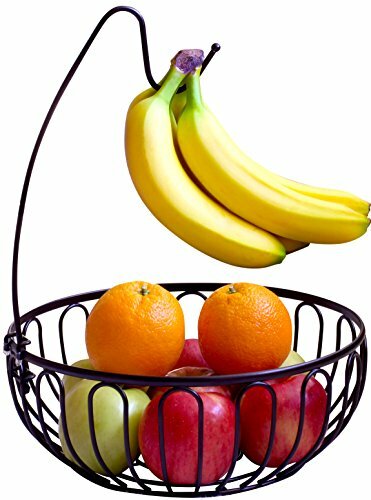 Store your bananas away from other fruits and vegetables. If you’re wondering how to preserve bananas after cutting, you can dip them in lemon juice to prevent browning. If you want to store them long term, you can place them in the freezer. But, they will be mushy when they defrost. Of course, eventually, your bananas will become brown and soft. It’s part of the ripening process and can only be delayed for so long. Once that happens, you can use up your bananas in a few of these recipes. I have tried wrapping my bananas stems and I can't say that I noticed them lasting any longer. I do store them separately from other fruits. I try to buy them when I know we will eat them so they don't go to waste. If some do get too ripe, I definitely make banana bread so nothing goes to waste! I did notice a difference here. But, maybe there were other things that helped as well? I have been told to wrap scotch tape over the ends and it will also help. I always hang mine too. Thanks for the tips! That's definitely a great idea! I love all these ideas! I am always throwing out overripe bananas! Thanks for the tips! Don't throw them out! If they do get overripe, try banana bread! Thanks for the tips and for the recipes for when they do ripen!!! We go through so many bananas! They are a family favorite. I use these tips at times to make them last longer. When they do over ripen, I make banana pudding from scratch with them . It's always enjoyed!